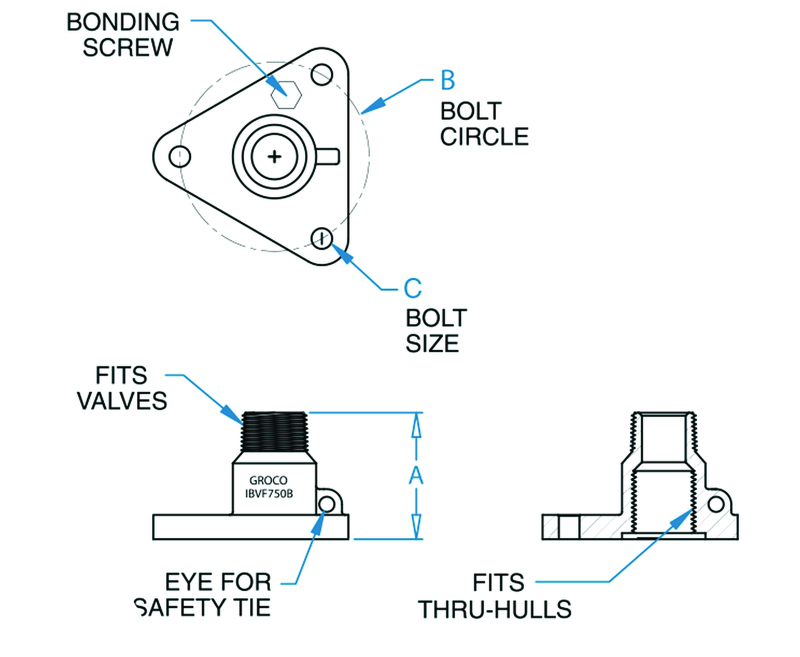 Eliminate dangerous thread miss-match when in-line valves are screwed onto thru hulls. 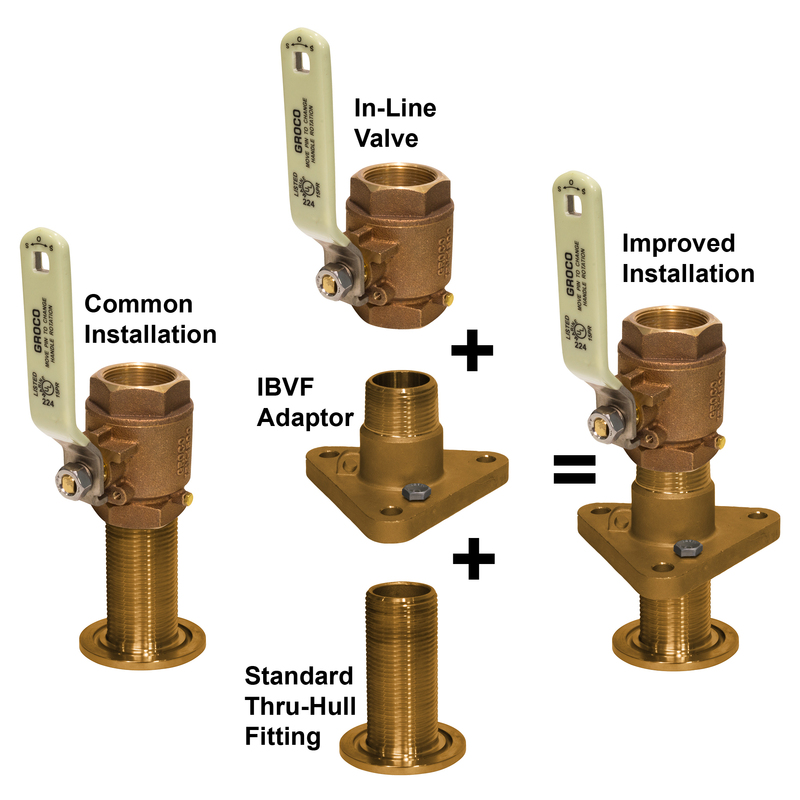 Accept standard thru-hulls into the base and standard in-line valves on top. 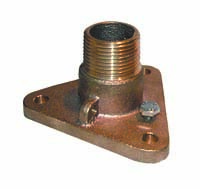 3/4" 3/4" 2.09 3.12 5/16"
1" 1" 2.18 3.38 5/16"
1-1/4" 1-1/4" 2.18 3.62 5/16"
1-1/2" 1-1/2" 2.18 4.5 5/16"
2" 2" 2.18 5 5/16"
2.5" 2.5" 3.2 5.88 3/8"
3" 3" 3.51 7 3/8"